Meal planning and cooking from scratch should always be a fun experience and an activity you should enjoy doing. However, it is not always an easy task. Planning the trips to the grocery store and smart grocery shopping can be a challenge even for the most organized of foodies. 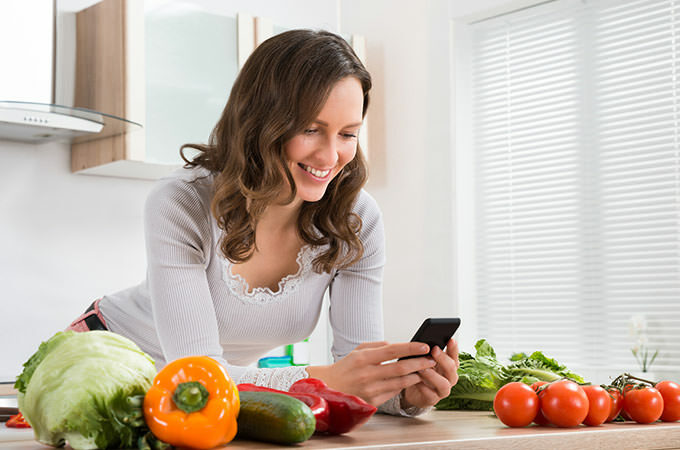 If almost every week you find yourself in a situation that you are lacking certain groceries or, even worse, throwing out expired produce or meats – it is definitely time to perfect your grocery shopping skills with a little help of these 3 smart mobile apps. If you are not a lone wolf and you live with several other people, AnyList is the right choice for you. This app will help you pull the perfect grocery list together very quickly, while it will also give you an opportunity to pay close attention to each and every member of your family or roommates. AnyList app allows multiple users to add items to a singular shopping list, which means that any changes made will be automatically synced to everyone’s devices. A true family app, indeed. If you are a cooking from scratch amateur, MealPlan is a perfect meal planning app for you. It is fun and extremely easy to use so it is great for first-time meal planners. Just drop the wanted keywords into a home screen organized by meal, and once the list is complete, you can email or print out the generated grocery list which is then sorted by aisle for the quick and easy shopping. And our winner is a nifty, all-round meal planning mobile app – Yummly – that has over a million delicious recipes in its database, which is why it is currently amongst the best and most popular foodie tools out there. Yummly makes it easy for you to make your own virtual recipe box and choose the meals you’ll be making. Once the meals are chosen, the app then curates all the ingredients to a grocery list and exports it to Instacart, a smartphone-based, grocery-delivery service. It is basically an all-encompassing cooking app that will leave any true foodie satisfied and smiling.